On Sunday, March 9th let’s all celebrate Fire Cider. Make a toast to tradition! Share and post your photos on Facebook, Twitter, Pinterest, Instagram, etc. 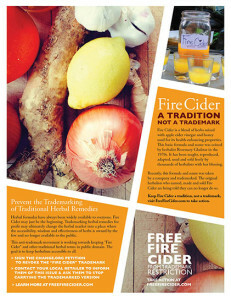 Don’t forget to tag Tradition Not Trademark on Facebook or use #freefirecider elsewhere! 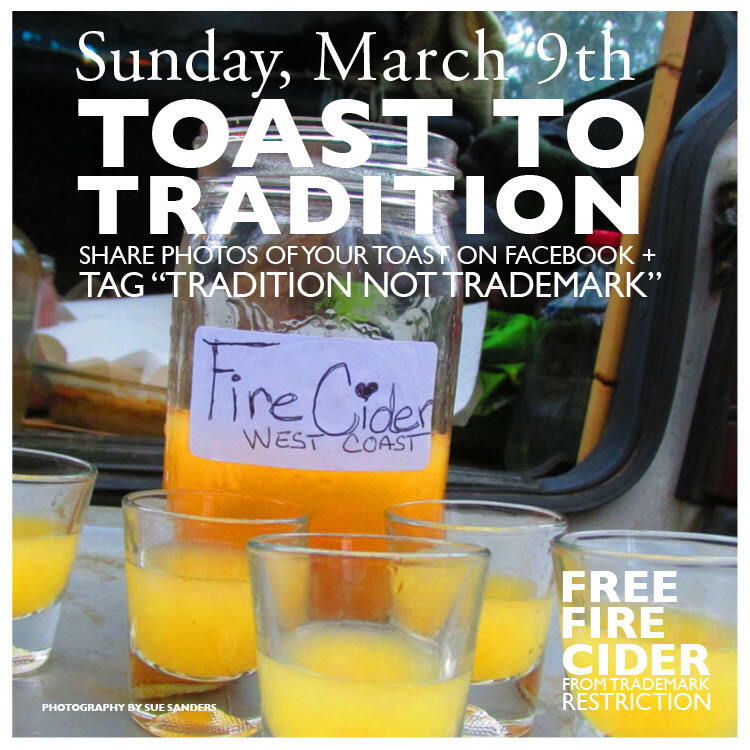 Make a Fire Cider toast on Sunday, March 9th! Click image to see Facebook post. 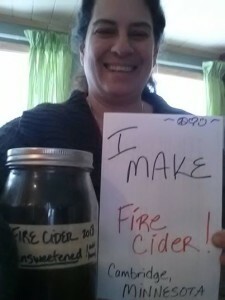 Click in to a livestream radio show TODAY (Feb 24th) at 2PM EST on WGXC Radio 90.7 to hear Nicole Telkes discuss the Fire Cider trademark controversy. You can call in with a question or comment using the following number 518-828-0290. A recording will be available and posted shortly after the live airing. UPDATE: the archived recording is available here! 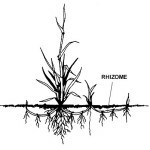 Then head on over to the Roots, Runners and Rhizome’s Facebook page to thank them for the opportunity to spread the message about this movement by liking their page or posting a comment. Of course, as important as Fire Cider is to us, there is a much larger issue at stake here. At the very foundation, the issue is really that we live our lives – our vocation, our calling – in service: in service to community, to the plants, to the earth. This doesn’t really translate well in a culture that is being whipped into ever more of a frenzy of seeking fame and wealth at the expense of others, of community, of the earth. How can we live our tradition of service to community, to the plants, to the earth, in a culture that values fame and wealth at the expense of these things? I would love to hear all of our voices writing – and speaking and drawing and singing and expressing on this topic! Send us your stuff! Links to your blog, your YouTube, your .mp3, your whatever you make to express it – we’d love to share it! Over 7,000 Signatures and Growing! Have you signed our petition at Change.org? If not, please do! 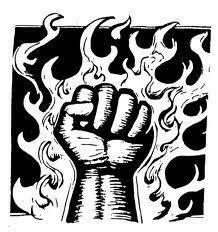 We currently have more than 7,000 signatures, which goes a long way towards showing that the words Fire Cider belong to all of us! Help us get to TEN THOUSAND – add your name today! Yesterday, the Free Fire Cider and the World Fire Cider Making Day Event pages were taken down by Facebook. Facebook cited that Amy Huebner, owner of Shire City Herbals, had registered a complaint that these pages infringed on and otherwise violated their rights. These pages were not violating Shire City Herbals’ trademark because they were not selling or promoting goods. Shire City Herbals holds a trademark – not a copyright. Rosemary Gladstar authored the copyrighted recipes and has not expressed issue with these pages. It is clear that these pages should be reinstated! Owners of the pages have filed disputes with Facebook. 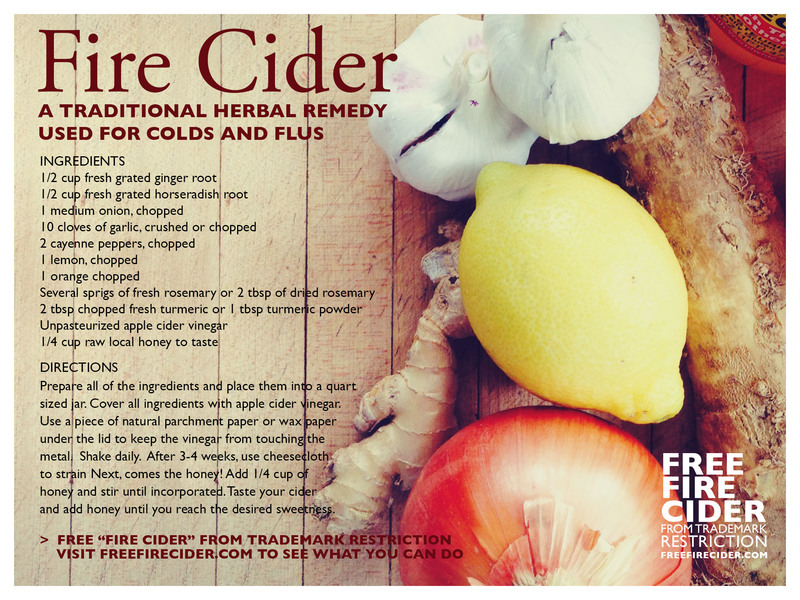 Take Action: Clearly Shire City Herbals is feeling the pressure of the herbal community. It is important to stay strong, stay positive, and continue to move forward. 3. Get involved: See what you can do at our Take Action page! 4. 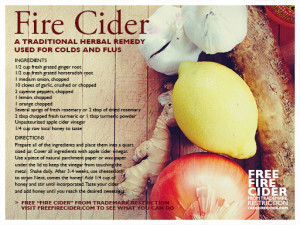 Keep informed about the latest developments and events right here at freefirecider.com! 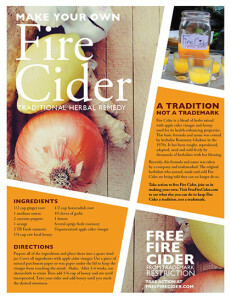 Free Fire Cider and Fire Cider Pages and even our “World Fire Cider Making Day Event” have been taken down by Facebook. Facebook has cited that an Amy Huebner (who just happens to own Shire City Herbals) said that these pages violated their infringement of her rights. We have been warned that if we start another page I may be blocked from using facebook entirely. That doesn’t stop anyone else from starting “pages” and citing the “Fire Cider” page as an infringement on our intellectual property. Do what thou wilt and we will continue to boycott, we don’t need facebook to do it! Letter regarding removal of Free Fire Cider Page. If an agreement is reached to restore the reported content, please have the complaining party email us with their consent and include the original reference number. We will not be able to restore this content to Facebook unless we receive explicit notice of consent from the complaining party. Please note that the complaining party is not required to respond to your request. For more information about intellectual property, please visit our Help Center at https://www.facebook.com/help/370657876338359/.